We love it when clients write us reviews! These reviews make our hard work worth it. Most of our reviews were originally posted on The Knot or WeddingWire. We have tons of 5-star reviews from clients from the past 9 years. Unlike most bands, we show you the couple's NAMES and the DATE they wrote their review. Any band can have a great review here and there. The Company Band has amazing reviews week after week, month after month, year after year. To get started, call us at 888.996.6266 or simply FILL OUT THE INQUIRY FORM. Enjoy Reading Our Reviews. We look forward to getting one from you! The Company Band were the highlight of our wedding reception! I cannot say enough good things! Every single guest was raving about them and how fun and upbeat they were as well as asking us for their information after the wedding! The dance floor was NEVER empty and they paid close attention to the list of songs I sent them that we loved and made sure to play similar tunes. They really made the evening and I cannot thank them enough! THE BEST BAND!! We came across The Company Band and booked them for our NYE wedding in Columbus, OH. Not only did they travel for us, but they put on the best party ever. All our family and friends keep raving about their performance and talent. 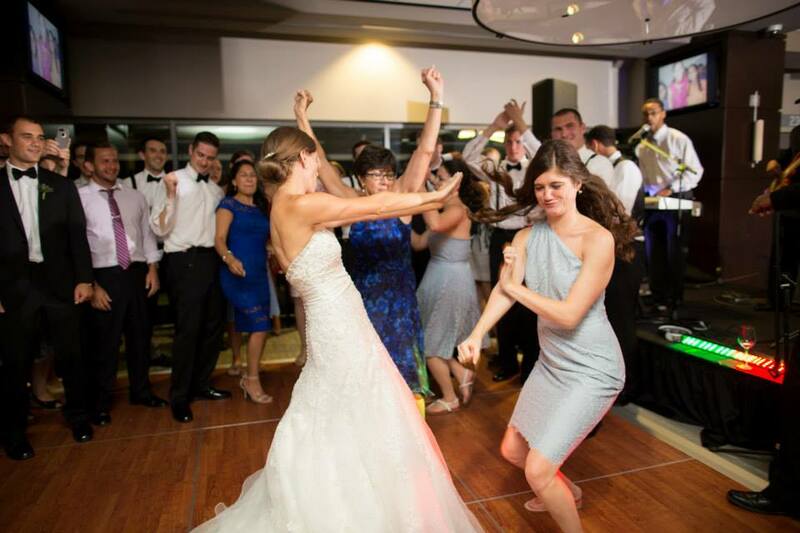 My Mom thought our first dance, "Endless Love", was a recording at first...but it was live! We can't say enough about The Company Band. They were the highlight of our wedding night! The Company Band was the best wedding band ever! They exceeded beyond the expectations we requested. They were easy to work with and plan with for the wedding day. If you are looking for a wide variety to cater to every generation and get everyone on the dance floor with zero stress then this is the band for you. The Company Band was the best band EVER!!!! They had everyone up dancing and having a great time the entire night. They are interactive with the crowd and make sure it is a fun night! We cannot say enough great things about them! I’m still getting around to writing all my public reviews for wedding vendors post-honeymooning and moving, BUT let me just say that The Company Band was absolutely one of the best decisions we made in the wedding planning process. One thing Alex and I really wanted for our wedding day was to throw a fantastic party, and TCB exceeded all our expectations (which were very high). They can play ANYTHING. When I say that I mean it, because Alex and his mom danced to a Kanye West song that TCB turned into a very smooth and tasteful R&B song. (I love Kanye West, but did you think his music fit for a mother-son wedding dance? TCB made it happen.) They did more than play every song to perfection; they put on a show and kept our dance floor packed the. entire. night. On a more logistical note, they were incredibly easy to work with and very reasonably priced. I would recommend them a thousand times over to any couple! Also: I don’t get anything for making this post... I just genuinely loved them enough to spend time writing this! The Band was amazing and kept people dancing all night long! Everyone loved them! Hands down, they were one of the best bands I've worked with. Not only are they talented,but they also were professional and able to adapt to any minor changes throughout the night. I am glad I had the opportunity to work with you all, and I will keep you in mind for future brides. The Company Band performed at our wedding reception. They were phenomenal! Over several months leading up to the wedding, most of our interactions were with Katherine, the Band Coordinator, and Mecca, the Band’s Event Associate. Katherine and Mecca were organized, professional, thorough, and detailed. At first, through phone calls and emails, Katherine explained what The Company Band offered and what our event could look like with them there. She also shared with us testimonials from previous clients about how highly they rated the band. Once we decided to move forward and sign a contract, she gave us an electronic form to complete, on which we could specify our preferred timeline of the evening’s events, song requests, etc. As the big day neared, Mecca communicated with us to iron out other small details. It was seamless. At our reception, the band blew us and our guests away. First, they were prompt and prepared. They were set up and all ready to go at the exact time that we had specified in our “day-of” timeline. Next, as musicians, they were notably versatile. The band was able to gauge the mood of the audience and play a variety of song types--slow and romantic, or up-tempo--based on what felt best. We cannot count the number of people who told us throughout the night how great the band was. Finally, William, the band’s singer and emcee, deserves recognition. Throughout the night, as the band performed, William’s on-stage presence was amazing. He made the performance fun. He was giving high fives to dancers and at one point even came down into the crowd to dance with us! Overall, William brought a ton of energy and commitment to the show and was a huge reason why the band made our wedding reception such a great event. 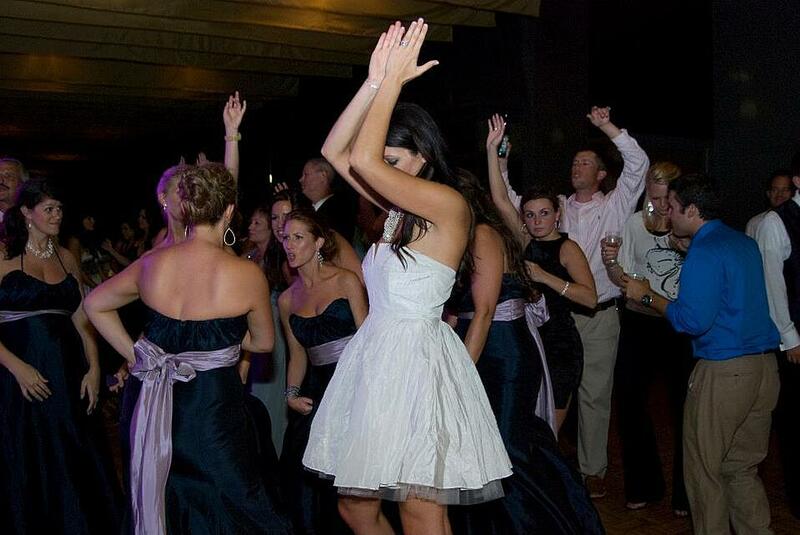 In closing, we highly recommend The Company Band to anyone considering live music for their wedding reception. Thank you to the band for making our wedding reception such a memorable event! THANK YOU FOR MAKING MY LIVE WEDDING BAND DREAMS COME TRUE!!!! I am SO HAPPY we had The Company Band play at our wedding! (October 6th 2018) Our wedding was in Indianapolis, Indiana so we didn't get a chance to see them play before the night of the wedding. I just had to go off reviews, recordings, and videos on their website and I'm SO GLAD we went with them!! They are very easy to work with and helped me stay calm throughout the whole process! They clarified things when they had questions about the timeline and just made the whole evening so perfect! I LOVED how the lead singer made eye contact with me every time they were going to announce something, such as speeches, bouquet/garter toss, and sparkler sendoff, just to make sure everything was going as planned. They really cared about how the evening went and made sure I was happy with how everything turned out. And their energy was UNBELIEVABLE!! I'm SOOOO happy I was able to get the horn section because my friends absolutely went crazy when they heard them play! Such a TALENTED group of performers and extremely easy to work with before the event! THANK YOU FOR MAKING MY LIVE WEDDING BAND DREAMS COME TRUE!!!! They say it takes a villiage, I say it takes the "A TEAM" and we had it! This has to go down as one of my all time favorites!! On behalf of Charise and Mike and their families and the AFT team - THANK YOU for all you did and then some..It was an amazing weekend and each of you were an important part in one of the most fun celebrations of love we have had the honor of being a part of. Thank you for making our wedding unforgettable! You all were perfect! Everyone had fun and is still talking about our wedding! Thanks for including the crowd and allowing us to have the best time of our lives! You get the Barry's seal of approval! We Loved you all! You all are family now! We had a fabulous time and the band was incredible! I emailed you this week to let you know how thrilled we were with them. When our daughter got married 3 years ago I spent several thousand dollars more for the band from Atlanta & The Company Band beat them hands down! I had several people ask me for your contact info. Thanks for all your help in making this a seamless transition! I saw the video of Dr. Clint Doiron recommending them, he's a well known cardiologist in Knoxville, TN and what he said was right...BOOK THEM! This band was amazing!!! They provided everything from Aretha to Beyonce'! They kept the dance floor full and the party going non stop! If you have an event planned at the Inn or you're thinking of having an event, let us know and we'll do our best to bring them back for you! I just wanted to thank you for such a memorable wedding evening for my daughter's wedding. The band was everything and more. They were so professional, kind, fun, read the crowd well and left all asking "What is the name of your band?!!!). None of the members of the band made it about themselves. They looked like they shared in the fun. As you know the music can make or break a party and TCB definately made the party. OMG!!! We love y'all so so much!!! All of our guest' have been singing your praises!! Thank you for everything! Y'all are the best! We will definately use you for our sister's wedding too in the future! So much fun!!! THANK YOU!!! We will NEVER forget you!!! You guys absolutely rocked! Thank you all SOOO much for making the evening one we will never forget! A huge thank you to each of you who worked on this wedding with me. I really enjoyed the exerience, and it appears to have been a huge success for the bride and groom and their families. I appreciate all of your hard word and flexibility in helping make the wedding the beautiful and meaningful occation it was. I hope to work with you all again, you are the most professional and nicest band I have ever worked with! I cannot say enough positive things about you guys! I'm looking for God to really keep you busy with bookings. Thank you again for an amazing night! Book them! You will Not regret it! Where do I even begin??!! This band was absolutely AMAZING! Throughout the entire process their customer service was superior and their talent is limitless! We worked very closely with Hanoch for months preparing for the wedding and he and his team obliged our every request. They were extremely professional and truly livened up our conservative, day wedding. Our guests are still talking about two things from our wedding: the mini burgers and this band! One thing I'm especially grateful for was them making our first dance so incredibly special - it was hands down my favorite part of our wedding day. We chose the song At Last - one of the band's signature songs, but when I tell you they blew it away! I've never heard the song sung they way they did it - it was an incredible moment made even more special by this talented crew. I know we'll be having more events in the future so I'll be calling them to come back! Book this band! You will not regret it! The Company Band was amaaazing!! They blew me, and my entire party away-definately a hghlight of the night. The dance floor was packed the whole night. My fiance' didn't want to do a first dance, but I finally convinced him the Thursday before our wedding. The Company Band learned our first dance song with just 24 hour notice! I would highly recommend The Company Band! You all were awesome!!! Everyone is still talking about that night and asking "Where did ya'll find that band?" Words cannot express how happy and excited we are that you all were a part of our special day!!! Thank you for help making our day the best ever! The Company Band was an amazing part of our wedding! Our guest still talk about how fun the band was for our wedding, and one of our friends booked them for her wedding in July 2017! They were easy to book, take payment and were professional and timely. The band understod the environment we wanted to create at our wedding and kept the party going! They played many of the songs we requested and even let our friend do a number with the band. They were the highlight of the party! Besides getting married to my awesome hubby and seeing all our favorite people in one location, The Company Band was the best thing about our reception! I still hear comments about their Purple Rain tribute. They truly went above and beyond to make sure our reception was special. I couldn't recommend them enough! I spent hours searching through online clips of bands, till I found The Company band. Working in music myself I'm probably quite picky and knew exactly what I wanted and the repertoire of music I had in mind. The Company Band are top class musicians who put on a great show. The vocalist are fantastic with really incredible voices who look amazing and clearly take pride in making sure everyone has a great time. I've seen as lot of function bands in my time and these guys are honestly next level so you will not be disappointed if you booked them. The Company Band played at my daughters wedding in Charleston,SC. They were a pleasure to deal with in preparing a program for the ceremony and reception that was customized to the desires of my daughter. 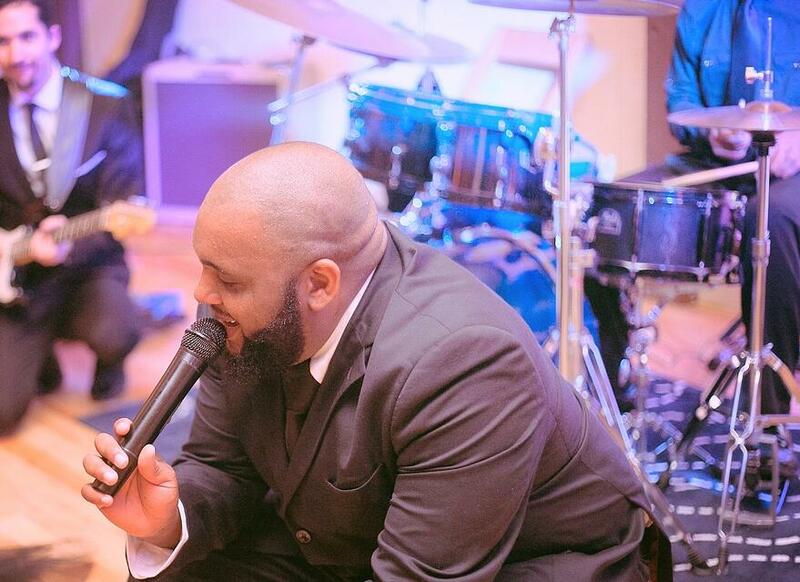 This was the second wedding that I have made and the band is one of the most essential parts of a successful wedding. I highly recommend The Company Band for their professionalism and talent! They are Wonderful, hope to use them again for entertainment! Excellent for my sons wedding, would highly recommend! THEY WERE THE HIGHLIGHT OF OUR WEDDING! The Company Band was amzing! Every guest was on the dance floor. They were the highlight of our wedding! From the time I spoke with Hanoch, the Director of the band I knew that I could trust them to make my day magical. I cannot tell you how happy I am to have had them as part of our day. They were engaging, respectful and extremely pleasant to work with. This is not your regular band! This band felt like they were our family! They made us part of the show!!! They made our guest' feel like they were at a high paid concert and EVERYONE kept asking how to book them!!! I'm in tears as I write this advising you that if you choose them for your special day, you will NOT regret it! Company Band, thank you for all you did for us! TOP NOTCH! We hired The Company Band and they were the conversation of the night. I could not have been happier. These musicians were amazing! We booked The Company Band for a surprise party with guest of various ages, and this band impressed all. My husband and I went back and forth several times on booking a DJ or a band. We ended up going with this band for many reasons. One, the customer service was impeccable. From the first conversation, we knew that this was going to be the best decision for us and our families. The members of the band were extremely professional, very personable and our guest danced until they were screaming for an encore! Thank you so much for a memorable experience! I HAVE NEVER HAD THAT MUCH FUN! They were AMAZING! The Company Band is by far the best wedding band I have ever heard. They interacted with our entire wedding party and guests. I have never had that much fun! I searched for so many bands before finding them, I was sold! They exceeded our expectations. Book them for your next event and I promise they will not disappoint. We have had so many people tell us how fun our wedding was and it was because of them! I want to rewind and relive our wedding day! The band provided a contact person for the planning stage and she was very responsive through the entire process. We had such a great time - the band was so much fun and had all of our guests dancing!! Looking forward to using them for other events. PS - Ask them to play their cover of "Proud Mary" - it is sure to have everyone on their feet! Best vendor choice we made for our wedding!! The company band was flexible, professional, and SO fun!! They traveled and came to our outdoor/tent wedding in northern Indiana at my parents' small farm. They were fabulous at MCing (I felt like I didn't give them a ton of guidance, and they totally rolled with it and did a wonderful job). Most of all, all of my guests were on the dance floor when the night ended. Our guests LOVED TCB! There is nothing like a live band, especially when they rock! The Company Band was AMAZING!!! I literally never wanted to leave the dance floor, and neither did our guests who ranged in all ages. Over a month later we still have guests, family and OTHER VENDORS asking us how we found this awesome group and saying that the band was the best they had seen in years. Do not hesitate, book the Company Band now!! TCB was absolutely wonderful! We booked them for our wedding reception. They were so flexible with allowing some family members play and kept the dance floor going. Full of energy, great music, and very professional. Highly recommend!!! I searched the web for bands for my daughter's wedding and found The Company Band! We listened to their demos on their site and thought they were awesome! Hanoch, the coordinator for the company band responded to my email immediately and we discussed the big day and some of the details. We booked right away! They were great to work with and made it so easy! As the day grew near, they were communicating with us on our wishes. The day of they dressed in their black tie and ready to go! They played a great variety of music just as we requested! They were awesome and perfect for my daughter's wedding! Awesome musicians and great to work with! I would definately recommend them for any event!!! The band brought amazing energy to our reception-everyone was dancing and had the best time! We loved every minute. DO YOURSELF A FAVOR & BOOK THIS BAND! The Company Band was absolutely incredible. I don't think you'll find a better band period, let alone for the price - which was more than reasonable. They provided music for both my beach ceremony and reception and it was nothing except perfect. They kept everyone out on the dance floor all night long - a second dance floor broke out when the original dance floor got too crowded! If you can, definately add the horns section. It's worth every penny. They were easy to work with leading up to the wedding. Their song list is the longest I've ever seen, and they even learned three special songs at my request. Do yourself a favor and BOOK THIS BAND! BOOK THEM! YOU WILL NOT REGRET IT! The band was fantastic. They did a great job, everyone in our group loved them. The dance floor was full all night. THESE GUYS ARE SO GREAT AND SO AFFORDABLE! These guys are so great and so affordable! My wedding guests were dancing all night long. I searched and searched for a band that sounded great for a great price, and I found it. I'm so glad that I settled on these guys! My company does a client reception each year with a live band, and we've NEVER had a more talented group of musicians than The Company Band. They engaged the crowd and had our guests dancing until the very end of the night. We're still hearing from our clients about how great the entertainment was (even the venue and catering staff stopped me to say how good they were!). In addition to their incredible sound, they were entirely professional and easy to work with. I would book them again in a heartbeat. The Company Band was so professional and talented. They played for my daughter's wedding at the bBrown Hotel. From the time we booked them until the day of the wedding they were in contact with us and we're very organized. I didn't worry at all. They did a great job emceeing for us. And they were so friendly. They also looked very nice and professional. We had such an awesome time dancing the night away!!! Thank you Hanoch and all the band for making our night so special!! Stop looking for bands and BOOK THE COMPANY BAND!! Words cannot stress how great, fun, entertaining, and talented The Company Band is! When I first started looking for bands I looked at a ton - and then found The Company Band and I was hooked! We went to hear them practice (because my husband is the type that he needed to hear them live before making a decision) - and they belted out a few notes of their first song in practice and he leaned over and said "yeah, they are awesome!" - so, we booked them on the spot! What a great decision! All of our guests were so impressed with a 9 piece band and the great songs that kept them all on the dance floor all night long! Such a great decision to hire The Company Band! They were amazing!! THEY WERE SO FUN AND SO PROFESSIONAL. AMAZING! The Company band played for my daughters wedding at the Brown Hotel in Louisville. They were fantastic. From the time we booked them until the day of the wedding they were in constant contact with us. Hanoch is their manager and he was a great help and always willing to answer any questions. The band emceed for us and then played great music all night . Everyone loved them ! They were so fun and so professional. Amazing! I'm the father of the groom from Gina and Josh Wagner's wedding. Held in Deep Creek Lake, Maryland. You were the best! From the 1st songs to the very end the dance floor was packed. Everyone thoroughly enjoy the music, the musicians and the song variety. I personally want to thank the band for letting me play along with them in the last set (Old guy with the organs PRS). Williams was an excellent guitars to play along with, as well as the entire band. I had an excellent time jamming and would recommend them for any type of event that wants to complement their event. Thanks so much! I really enjoyed the company band. They put on a awesome performance for my mom memorial service. I would definitely hire them again for any event that I may have in the future. Thank you guys so much for all that you did you went above and beyond my expectations. We hired The Company Band to provide cocktail and reception music for our Four Seasons wedding. Hanoch worked with us to finalize the musical selections and emcee responsibilities for the entire night. They [played in] Miami for our magical evening. The Company Band is clean, classy, and THEY CAN DO ANYTHING! Their version of a Coldplay song we selected was exactly like the album version. We were so blown away! The dance floor was packed – conservative Christians and all! Even our guests who are professional musicians asked about Hanoch and his group! Why would you ever use a DJ? 5/5 stars! Your crew KILLED IT! we had an amazing time sir. The Company Band was everything we hoped for and our friends were all thoroughly entertained. The dance moves, professionalism and musicianship were all spot on. Thank you again sir and we will definitely recommend you guys to everyone we talk to. We had and incredible party last night, and it was all due to The Company Band! They did an incredible job, and I just can’t thank you enough. We had a photographer there that took some great action shots. He should have a website up in a few weeks with the pictures. If you would like, I can send that you to as soon as I get it. You definitely made this party exactly what I envisioned. We hired the Company Band with singers, Sherretta Ivey and Montrell Calhoun, to perform at my son and daughter-in-law's wedding reception. They were great! It was a fun evening of music and dancing. I love Motown and they can definitely perform it. Mr. Hickman was very accommodating. We had a very pleasant experience and we can wholeheartedly recommend them. THEY ARE EXPERIENCED CROWD PLEASERS! Our daughter was married New Years Eve at the Westin in Savannah, Georgia. We had a great experience; The Company Band was just awesome! They handled all the wedding party introductions, traditional wedding stuff like the bouquet toss, as well as playing great dance music. We danced all night, and just before midnight, they formed up a Second Line! We followed them out of the ballroom down to the waterfront for ringing in the New Year with a sparkler exit via boat for the newlyweds. The dance floor was packed! Personally I loved that we were able to say what we preferred NOT to hear, and they pretty much read the audience and played great songs for the reception. They are experienced crowd pleasers! You cannot go wrong booking The Company Band for your wedding. From a performance standpoint, they rocked our wedding. Everyone could not say enough about how much fun they were. They really got the vibe we were going for and played some unique song requests we had very well, including our Bride/Groom dance. Several patrons of the country club where we held our reception had to ask who was playing in the ball room and if they could have their contact info. Overall very pleased with their services. The Company Band played at my daughter's wedding in Charleston, SC this past spring. They were a pleasure to deal with in preparing a program for the ceremony and reception that was customized to the desires of my daughter. This was the second wedding that I have made and the band is one of the most essential parts of a successful wedding. I highly recommend The Company Band for their professionalism and talent! SO ACCOMODATING WITH ALL REQUESTS! Your search is over! This is the band to book for your wedding. Not only are they awesome, but so accommodating with all requests! The band leader actually flew in from Vegas one day to drive down to the Florida Keys and see our location. The Company Band is one vendor you not need worry about after they are booked. The Company Band was amaaazing!! They blew me, and my entire party away - definitely a highlight of the night. The dance floor was packed the whole night. My fiance didn't want to do a first dance, but I finally convinced him the Thursday before our (Saturday wedding). TheCompany Band learned our first dance song with just 24 hours notice! I would definitely recommend The Company Band!! We had a blast with the band! Everyone was talking about how amazing both the male and female vocalist were. They were accommodating, fun and totally fed off our crowd. Our only regret is that we didn't use them for an additional hour / start our ceremony earlier. Even withtheir dinner break, I think we came super close to getting our money's worth. They killed it! Played 4 hours straight, no breaks. You guys were great- we had so much fun and the whole night was a success! EVERYONE has been asking me where I found y'all! If we have another event come up, I'll be calling you. Thank you for your professionalism and talent. You guys rocked the house and everyone had a really fun time. We cannot sing enough praises for the Company Band!! From the beginning, Hanoch was so responsive to any questions we had along the way. They also offered us an extremely large song selection that included so many different genres. They were absolutely amazing and made our reception a party we will never forget. The band brought so much energy and each member was insanely talented. We got so many compliments following the wedding about what a good job they did. The dance floor was literally packed the entire night. They definitely exceeded even our highest expectations. We cannot recommend them enough!! I had the pleasure of seeing the Company Band at a family member's wedding reception and on a whim inquired about their availability at my own son's wedding just three weeks later as a gift to my son and his fiance'. Hanoch was quick to reply and very gracious, patient, and professional through the entire planning process. The band was not only available, they were over the top phenomenal in every way. The guests at the reception had a wonderful time and we really felt a great connection with each of the band members and they way they interacted with our guests. It was one of the most joy-filled nights of my life. We love the Company Band! The Company Band was hired for my daughter's wedding after reviewing the positive feedback and viewing their wonderful videos. I have to begin by saying that as impressed as I was by the band's videos, hearing them in person, blew me away. They were incredible and certainly the highlight of the entire wedding. They had the entire crowd up on their feet and I heard over and over again from my guests that they never had such fun! Working with Hanoch was great. He was a true professional throughout the entire process and by the time the day of the wedding arrived I had no concerns at all. The cost was extremely reasonable and I would highly recommend The Company Band to everyone. Absolutely, hands down, best band out there!!! Their online recordings don't do them justice! Just wait till you hear them live... I was amazed how wonderful they sounded live and how energetic they were!! The band came out on the dance floor singing with the crowd and interacting without skipping a note! I wasn't sure what to expect, especially since I work in the industry, I am typically very picky and skeptical- but TCB was absolutely phenomenal and blew my expectations out of the water! All our guests were talking about the band afterwards and they created a very memorable event! Highly recommend! The Company Band had all of our guests dancing all night!! (You even got the guests who don't like to dance, like my uncle, on the dance floor). They are incredibly talented, fun, professional, timely, and easy to work with. Our guests were asking for their cards to call them for their event! Thank you, thank you, thank you!! The Company Band was everything and much more than anyone could ever want in event entertainment! The quality of their performance was spectacular and really did make our wedding shine. From the planning phase to the day of event, everything went professionally, smoothly, and without any unfortunate incidents. The Company Band exceeded our expectations and what they brought to the ceremony and reception really helped to make pleasant memories of our big day! Our guests couldn't stop raving about what a fabulous job the band did. Working with the musical director, Hanoch, was a great experience as he really strives to listen to what the client wants. I would definitely recommend them! The Company Band was absolutely amazing for our Prom band. They had us dancing all night and were so attentive to our needs to ensure all lyrics were school appropriate. Hanoch throughout the whole process ensured that we got everything we needed. The band interacts with their audience and they were having fun with us. We loved them so much we are having them play again at our next prom! The Company Band did a great job at our wedding. We gave them what we wanted them to play and they did exactly that. The dance floor was full all night. I highly recommend using them for any event. 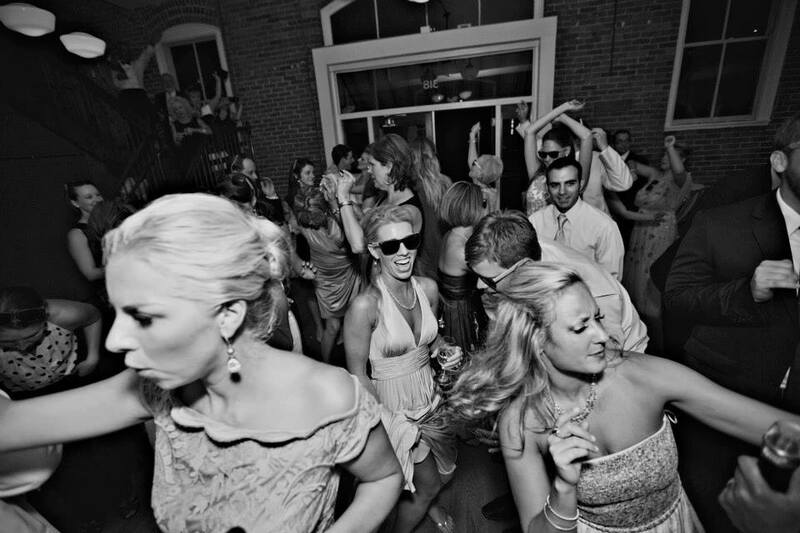 We traveled near and far to find that perfect band with the sound & energy that would really compliment our wedding and keep our guests dancing all night. I started to lose hope after meeting with numerous bands & not being blown away by their performance, until I came across TCB. When I went to their website and reviewed their demos & song list, I knew this was "the one"! After talking with Hanoch (the band leader), my mind was pretty much made up at that point. He was so easy to talk to and knew exactly what we wanted for our wedding. I didn't have the feeling that he was putting on the same "act" when talking to brides, like so many other bands made us feel like while searching. This was important to us because we wanted a personal feeling with the band & didn't want to be just another "gig" to travel to. I wanted to be 100% sure this was our band and couldn't make it to a performance, so Hanoch sent me a few of their private rehearsal videos. We hired The Company Band for our wedding hours after seeing the videos. The high energy, heart and talent that poured into just the rehearsal was unbelievable and their performance at our wedding did not disappoint! Hanoch made the process of picking music for our wedding so smooth and easy. We had a few songs we absolutely wanted & the pre-wedding questionnaire helped to determine the theme & genre of music we wanted. We decided to go with 9 pieces...WOW, We were all blown away! Their talent & high energy is incredible!! They arrived on time and ready to bring the house down! They were so friendly to all our guests & they even let one bridesmaid play their trumpet! HA! TCB kept the dance floor packed & everyone going ALL NIGHT LONG!! Everyone is still raving about the band and our venue is referring TCB to everyone! We will certainly be hiring them again in the future! They definitely made our wedding reception special & one to remember! I can't say enough good things about them!! BEST NIGHT EVER!! The Company Band was incredible! Months after our wedding, we still have friends and family talking about how great our wedding band was! They can play anything and everything! They were so accommodating with all our requests and made our wedding. 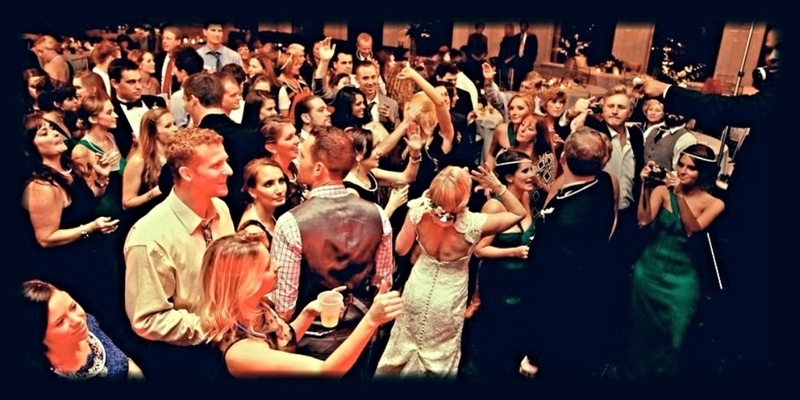 the dance floor was always packed and they just helped make our wedding that more fun and memorable! We hired The Company Band for our wedding and it was the best decision we could have made. They were incredible! Not only is Hanoch (the band manager) super responsive and helpful, but he also took our vision and brought it to life. The musicians and singers were so talented and they really made our day so special for us. All of our guests couldn't stop talking about how amazing the band was which made my husband and I so happy. Everyone had a great time with them and they were really interactive with the crowd as well. If you are are thinking about booking a band for your special day I highly recommend this one. They were so full of energy and made our day unforgettable. I would hire them again in a heartbeat! Where to begin. I can't say enough good things about The Company Band. During the planning phase Tyesia was incredibly quick to respond to all my emails and questions. As far as our wedding reception, it's safe to say that the band was a hit. They played all the music we had requested and the kept the dance floor filled the entire evening. Since the wedding, every guest that we have talked to has gushed about the band and how awesome they were. Thanks Hanoch and company! We couldn't have been more satisfied! Hanoch was extremely professional. I couldn't have asked for a better band. They were perfect! People never left the dance floor. I can't say enough good things about The Company Band. From the very first contact I had with Hanoch Hickman, they were nothing but professional. Their performance was exactly what we had hoped for at our reception, and we still hear compliments on them nearly daily. I have already highly recommended them to anyone who asks! Talented and classy, they are the perfect band for your wedding! I truly cannot thank the company band enough for the best experience/performance on my wedding night. 10 out of 10, no question. Hanoch (the bands manager/keyboard player) was immediately responsive from the first time I contacted him until the time of the wedding with any questions or ideas we wanted to throw out there. He took the time to understand exactly what we wanted (a heavily themed Motown sound) and knocked it out of the park. The entire wedding was dancing the ENTIRE night and I had bare minimum 50-60 guests tell me they were the best band they had ever seen at a wedding. Thank you again so much Hanoch and the rest of the band for absolutely crushing it on my wedding day. My new husband and I cannot say enough good things about The Company Band. We were able to sit in on one of their practice sessions early on and knew they would be great. Booking was easy and the selection of songs was great too. Our guests had such an amazing time at the wedding because of them and even weeks afterward, I had friends coming up to me telling me how great the band was. We would book them again in a heartbeat! Hanoch was awesome. The band got everybody moving, matched the intensity of the crowd-- honestly got more than our money's worth. As a musician, they knew exactly what they were doing and really-- everyone kept telling me how awesome the band was. We were incredibly lucky to have The Company Band play at our wedding. They kept the dance floor packed all night long, and guests were begging for an encore when the night was finally over. I went to several weddings after my own this summer, and strangers were coming up to me to tell me that they'd heard how incredible our band was. I could not recommend them highly enough. Thank you, Hanoch! Hiring The Company Band for our reception was hands down one of the best decisions we made during the wedding planning process. They were AWESOME. Everyone loved them and everyone was on the dance floor all night. They listened to my requests for certain songs and honored them. They were so good. Everyone was talking about them all night and I kept getting texts over the next couple of days about how much everyone loved the band. I was very satisfied with the company band, I will be rehiring them again for our anniversary, I do not need to look any further for a live band, all my guests was pleased, as was I, Thanks a lot Company Band for doing such a good job. The Company Band was phenomenal!!! Hanoch and the other band members were truly incredible and my husband and I couldn't have been happier with them playing at our wedding reception. Music was one of the MOST important factors when planning our wedding. 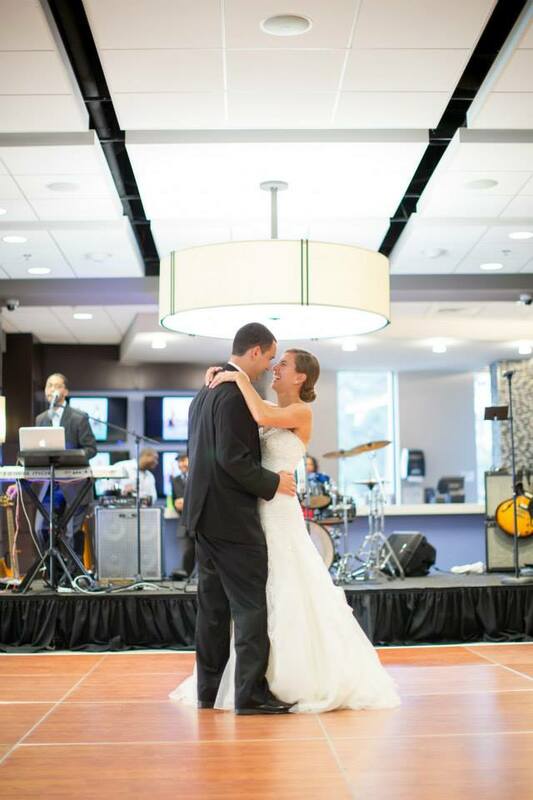 My husband and I love a variety of different genres of music and we knew we wanted everyone to have fun and dance on our big day, so having a great band was key. I researched many bands before making my decision, but I kept coming back to The Company Band. And let me tell you, they did not disappoint one bit! This band knows so many genres of music, so many artists and so many songs. Each song that they played was perfect for our reception. One of the many things I loved about this band, was their ability to read the crowd. Our guests love to dance, and the band was able to sense that right away, so they chose songs that not only we loved and wanted, but songs that kept the crowd dancing and partying until the very end. Hanoch is really great about working with you beforehand to determine what you want. If you want more beach music than hip hop, they can do that. If you want mostly jazz and no beach music, they can do that too. They truly cater the experience to what YOU want and what you want your guests to experience. My dad had prepared a special surprise toast for us that involved him actually singing with the band! Hanoch took the time to work with my dad in the weeks before the wedding to make sure it was perfect and it ended up being so special. I have nothing but positive things to say about this group and I can't tell you how many compliments I received during AND after the reception about how wonderful the band was. If you're trying to make a decision, pick The Company Band!! You will not be disappointed! I cannot thank Hanoch and the Company Band enough for putting on a fantastic party at our wedding. From cocktail hour and dinner jazz to an evening of perfectly curated Motown and top-40, the band proved versatile, professional, and lots of fun! Hanoch was generous with his time and extremely accommodating during the planning process. Our guests continue to rave about how much fun they had, and we couldn't have done it without the Company Band. Highly recommended. I have been to dozens of weddings over the years and one thing that separates each one is the entertainment. TCB blew the roof off the reception. There was not a single moment that passed by that one of the guests was not ripping up some part of the dance floor. Further, it was my wedding, so I was even more critical in terms of communication beforehand, punctuality, and obviously their level of entertainment. We ciphered through several bands but one thing we wanted more than anything was a p-a-r-t-y of a reception. They went above and beyond through our planning process to make sure we were getting exactly what we wanted. They never let us stress about a thing and offered to learn a few extra songs to make our night even more special - they played our first dance song better than Ron Pope did. All I wanted to do was talk to my guests about life, love, and liberty, but all they wanted to do was talk about how incredible the band was. If you are looking for a band to knock the socks off a party, then you better book these guys immediately. Hanoch and The Company Band were great to work with. The main thing we cared about at our wedding was the music and they were great. We requested what kind of music to play and they did just that. I would recommend them to anyone that needs a good fun band. I don't think we left the dance floor once all night. The Company band was simply amazing! Before booking them we were a little nervous because we hadn't seen them perform live. Hanock took a lot of time talking to us and helping us plan the flow of our reception, and made a a custom planning page that allowed us to keep up with all the reception details. The band learned our first dance, father/daughter dance and mother/son dance. They sounded better than the recordings! All we kept hearing all night was how incredible our band was! Our dance floor stayed packed the entire night! I would highly recommend The Company Band! The Company Band was absolutely amazing! The most important thing to us on our wedding was that everyone have fun and the dance floor stay packed all night, these guys did not disappoint. They customized our special songs (first dance etc...) To highlight the meaningful lyrics and not drag out the dance. They were great to work with and really had every aspect covered for us which really took a lot of stress off of us. Now to the music... AWESOME! We could not have picked a better group to play for us. They are an extremely talented band and made our night perfect. Thank you guys for what you do and how easy you were to work with. Pure professionals. I highly recommend this band. The Company Band was INCREDIBLE to work with! We booked them not for a wedding but to be our New Orleans brass band for a big event we had, promoting the show NCIS NOLA. They were such a pleasure to work with! Hanoch was very responsive, very helpful and flexible. They delivered incredible music that everyone really enjoyed! After looking through nearly 100 bands online and comparing demos of 30 or so, The Company Band was the only band whose musicianship and repertoire fit our standards and expectations. And boy, do they put on one hell of a party. Before the reception, we had many conversations with the band in order to determine what genres of music we were looking for and that our guests would enjoy. We told them a number of our favorite artists and songs (as well as a number of our *least* favorites), and from that information, they put together a set list that perfectly fit what we wanted. They completely controlled the energy of the reception, playing some light music during dinner and moving to dance music exactly when appropriate. As an added bonus, they were even better live than on their demos! Everyone who could dance was on the floor, and we heard no end of variations on "Oh my god, where did you find the band? They're AMAZING!". As for the instrumentation, they allowed us to request the combination of our liking. We went with an 8-piece, as we preferred live winds over synths: 2 vocalists (one male, one female), saxophone, trumpet, drums, keyboard, bass, and guitar. Even with 8 people, they were very affordable, worth every penny. Reception for over 200. The variety of music genre, the great sound of the instruments, horn and singers, the energy, all of it kept everyone (18-80+) on the dance floor to the end of the night! Friends and family are still raving about the band. Hanoch Hickman, the manager, could not have been more helpful, professional and accommodating. Highly recommend! Amazing vocals! Highly responsive and easy to work with! Very flexible and professional. The dance floor was full all night! We will be hiring them again! The Company Band was phenomenal!! They played at both the ceremony and the reception and had to learn special songs that were requested. All the guests raved about the Band afterwards. I would strongly recommend them to other people and if I'm ever in need of a band I will definitely give them a call!! The Company band was simply amazing at our wedding! We were confident they would do an excellent job but, they exceeded our expectations! Hanoch, the band leader, listened to many of our requests and also used his own expertise to make our celebration a success. He incorporated our requests while playing enough variety to keep every single guest happy. He checked on us throughout the night to make sure he was doing exactly what we wanted. So many of our guests did not stop dancing all night!!! We had so many people tell us they had never experienced a wedding band like this and specifically commented on how awesome the band was.The Company Band brought an incredible amount of energy to the party and kept everyone involved. Every song they played sounded amazing! I highly recommend working with The Company Band for your wedding or any other big event you are planning! They will make your day one you will always remember! Hanoch and the band was absolutely fantastic! We hired them for a Christmas corporate event we were hosting. They had the genre of music right, the sound was incredible, and what else can I say other than our company will definitely use "The Company Band" again! Hanoch was great to work with. He worked within our budget and provided an additional band member. He was flexible with the band's performance times (both start and stop), as our event was a gala fund raising event (live auctions are sometimes unpredictable). Hanoch worked well with our local sound management business in our community, as it was of value financially and politically to utilize local businesses as much as possible. I would recommend The Company Band for a gala event, as they are accommodating, responsive, high-energy performers and affordable. The Company Band does an excellent job. I would recommend them for any type of show/event. The music is appealing to most any crowd of people. The band puts on a great show. All students, faculty and staff enjoy the music. The music attracts many different age groups. The Company Band was amazing!! Everyone had a wonderful time. The music was spot on and everyone was dancing! 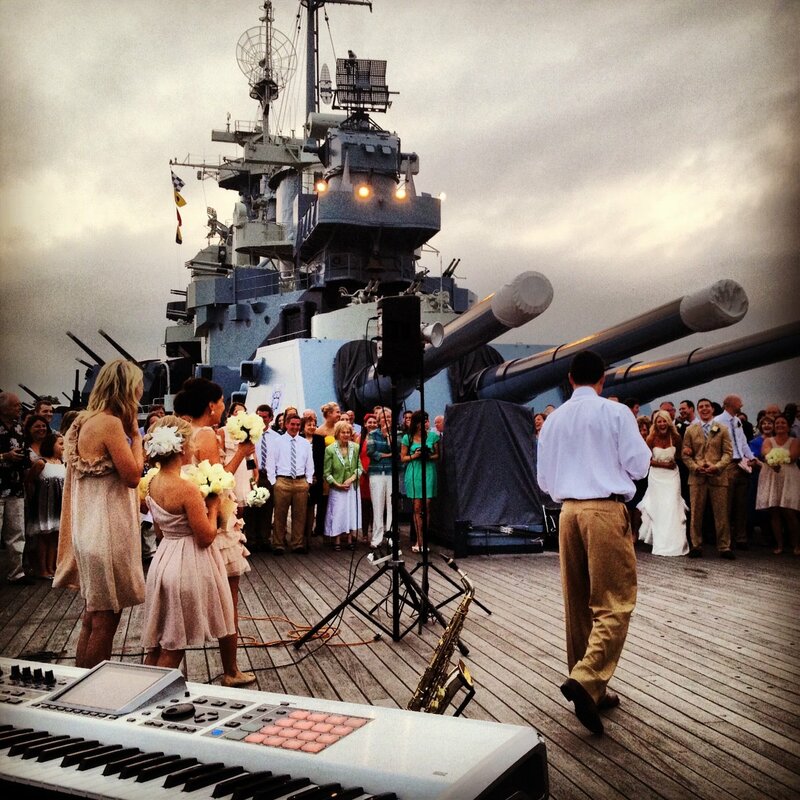 Next wedding or big event in the family, the Company Band will be the first ones to call! It's been two years since our special wedding day and our guests still compliment us on our band. The Company Band was amazing and had every person in the room on the dance floor. My husband and I were beyond happy seeing everyone dancing, singing along with the band and having a good time. We have The Company Band to thank for that. Im looking forward to the next opportunity to hire them again! The Company Band is fantastic! The talent level is tremendous. I have had countless people who attended our party comment on how musically, they hadn't heard better. They are worth the fee! The Company Band far exceeded our expectations for our wedding day. They are hands down the best band I've ever heard. My husband and I were so happy with our decision to hire them! Our guests raved about them that night and are still telling us how great the band was. They took time to learn our first dance song, MCed, DJed the break that they took, then played for almost 3 hours straight till the end of the reception! I've have never seen my family dance so much. Thank you! One of my best friends had The Company Band play at her wedding two years ago (May 14, 2011) in Charleston, SC, and I immediately knew that I'd want them to play at mine someday! We danced her ENTIRE reception to everything from Sinatra, to Outkast, to Motown, to Michael Jackson. No one wanted the evening to end! Hanoch and the rest of the band are so professional, friendly, fun and so talented! When I booked them for my wedding on August 10, 2013, I was so impressed with their lengthy song list and their willingness to accommodate our "special dance" songs that weren't on their current list. Hanoch was always responsive and answered any and all questions my family and I had. They traveled all the way to Tennessee for my wedding, and they were just as amazing as I remembered! Our guests loved them, and the dance floor was packed until the very last song! It's now three weeks later, and when people talk about our wedding, they still mention how much they loved The Company Band. I can't thank them enough for making our special day even more amazing, and I would highly recommend them for any wedding or party. They are versatile, fun and just plain awesome! 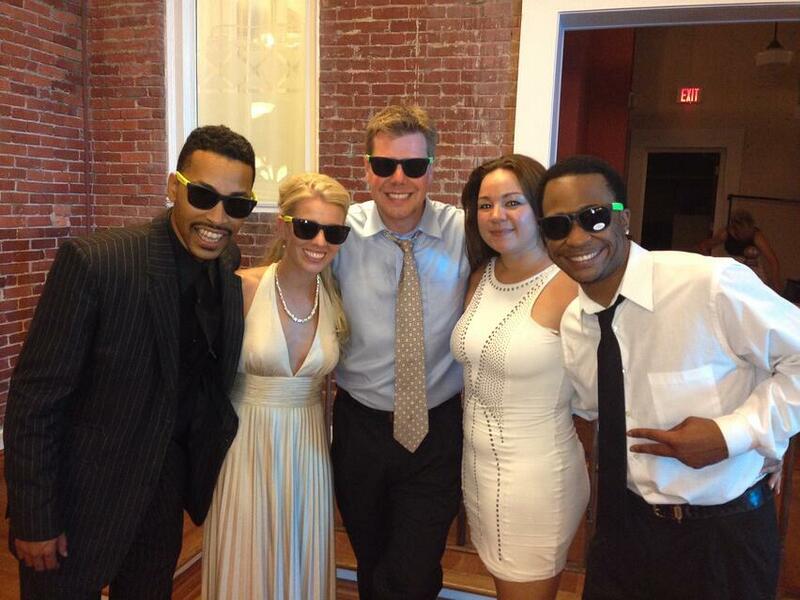 The Company Band was absolutely amazing for my reception on June 29, 2013. We had about 200 guests and an indoor/outdoor reception. The Company Band was always easy to get in touch with through their manager Hanoch Hickman and he was always so professional and kind in terms of meeting special requests. He was open to any special requests we had and by providing an entire list of songs they can play I was easily able to come up with a "preferred played list" which they performed perfectly. One of the most compliments I have received so far has been how awesome the band was and where they were from!! DEFINITELY recommend The Company Band! This band was incredible. They had all our wedding guests out on the dance floor all evening! Their talent is amazing and they have such up to date music. I only wish I had another party to have them play again. I may have find an excuse for a party! We live in a small town and every one uses 2 band from here. All my friends are thrilled to find another band. Thank you all!!!!!! While my wife and I were planning our wedding we had a major decision as to what we should do for entertainment at the reception. Being that we both love music and wanted to really party this was a top priority of ours. We felt finding a DJ would be relatively easy but we really wanted to slam it home with the band. Living in Atlanta there are several local bands who could have performed at our wedding but we wanted the best. Both having attended college in Charlotte we had the pleasure of hearing The Company band play out several times. Using an out of town vendor for a wedding can be scary but not in this case. All of the calls and details were handled immediately. Everything flowed smoothly and I believe the band was loaded in and set up before the cake was. 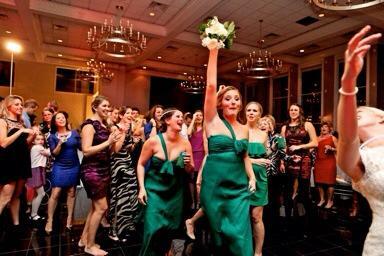 lol The energy was through the roof from the moment the bridal party was announced until the last dance. These guys (and gal) seemed to have an endless catalog of music and made this day one that we will never forget! We hired The Company Band for our Wedding last month (September 21st, 2013). Hanoch was very easy going, friendly, and very accommodating. We only needed a band for about 3 hours because we were having a friend DJ towards the end of the night, but Hanoch set up earlier to do the MC'ing for introductions before the band went on. Let me say when they did go on, we were all blown away. Their vocals were on point and their energy was high. My father in law and great aunt couldn't even wait until after dinner to hit the dance floor. I would recommend this band to anyone looking for a great live band. If I am ever in need of a band again, I would hire in a heart beat. I heard nothing but good things from all of my guests. Everyone enjoyed them as well. I hired The Company Band for my daughters wedding. I have been a member of a classic rock band for over 12 years, so I am a pretty good judge of live music from both sides of the stage. This band is great. If you want a reasonably priced that puts on a good performance and gets people up and dancing, then hire this band. They are also extremely accommodating and easy to work with. We had several special requests and they handled them seamlessly. My band played a few songs at the break, and they were very receptive to that and made it easy for us to step in and play. They also were very professional with the wedding party introductions and special dances. Great band. Hi. The Company Band was amazing. They arrived early and they sounded so much better than the video on their page. I'm really happy I hired them. Your service was great. I felt that you played accordingly with the setting. You played what people wanted to hear. Your songstress was outstanding, and the band worked the crowd. You made the party an event to remember, and I will always love you and The Company Band for that. I really appreciate your time and service, and would recommend you again. Maybe seeing you guys play for our anniversary! Everyone is still talking about how good the band was. I really enjoyed their showmanship, they really interacted with the crowd well. In fact, “I think a friend of mine is wanting to hire the band for an event that he is having. If that tells you how well we enjoyed them. And again Thank you, Thank you, Thank you!!! Thank you for such a wonderful performance at our wedding. People are still talking about "the band"!! !Our whole goal was to make sure the entertainment was awesome, and you lived up to that expectation. Please pass along a sincere thank you to everyone in the band, you guys really rocked your face off! We could not be more happy with the band. Everyone has told us how much they enjoyed The Company Band and we couldn't be more pleased! Thanks so much for making our night so perfect! We really appreciate everything you did to make our night special; you are amazing! Everyone had a great time and we know it is because your talents kept them dancing the entire night! We already have had a couple people ask about your group so I hope you don't mind us sharing your information! Very professional group! They explained how they operate which made us both comfortable and confident that they know what they’re doing. They performed songs that we asked and did a great job entertaining our guests. Awesome to work with. I was very satisfied with the level of service, flexibility, and talent of The Company Band. Thank you so much for helping me at such a short notice! Thank you Thank you Thank you!! we can't say enough how great The Company Band was. From our first contact months before the wedding until the last song they played at our wedding, The Company Band were a joy to work with! They had people dancing the entire evening and kept them on their feet all night long. No questions about it, The Company Band is amazing!! The Company was EVERYTHING AND MORE than I could have dreamed! As the mother of the bride, I worried somewhat whether The Company was going to make or break our reception. I cannot fully express how impressed, delighted, thrilled we ALL were. Your band got the guests on their feet and kept them there ALL NIGHT! Your band is absolutely top of the line and worth more than what we paid. Truthfully couldn't afford to pay what you are worth so I greatly appreciate your cooperation in that area as well as all other areas. All in attendance enjoyed the Company Band! Many, many compliments I got and just want to get the word out. There is NO MISTAKE in hiring The Company Band for anything! FABULOUS! Incredible! This group performed at our wedding in Buxton, NC on May 21st, and I cannot say enough great things about them. We had a wide variety of ages (lots of 20-30 year-olds and lots of 60-year-olds), and they were able to cater to many different tastes. We had two requests for songs (a little-known Ray Charles song for our first dance and another song for the father-daughter dance) and they performed them flawlessly. I was especially impressed with their version of the Ray Charles song. They were also very easygoing when my somewhat drunk friend decided that she would join them on their stage for a sing-along! Thank you, Company Band, for a terrific night. The Company Band was a first class act that was perfect to work with, sounded incredible and made sure everyone had a great time. I highly recommend them. Flawless. The Company Band diligently communicated with me up until the day of my event, showed up/started on time, played songs as if they were reading the crowds mind, dressed for the occasion, and were a bigger attraction than the art we had on display! What else can I say but..FLAWLESS!!! Hanoch and the band were amazing. They really put a lot of time into learning what my wife and I liked and they even learned how to play our song for the first dance. They did an amazing job blending new and old music to appeal to all ages and the dance floor never stopped. If my daughter were getting married they would be my first call. The Company Band's performance for my 50TH Birthday and 21Yr retirement celebration was off the chain, as quoted by many of my guest. They were very professional, polite, and most of all very talented. I highly recommend the company band. Trully and outstanding group of individules. Thank you very much for allowing me to share this feedback. They were the perfect choice.